I’m happy to share that my recent body of work, Haunts and Related Incidents, is featured in Oxford American’s Eyes on the South series, curated by Jeff Rich. I’m happy to share that two of my photographs are included in the upcoming exhibition, MFA: The Next Generation at the Oconee Cultural Arts Foundation. I hope you’ll be able to attend the opening reception this Friday, January 18th, from 6-8pm. You can RSVP to the event on Facebook. The first annual collaborative exhibition between the Lamar Dodd School of Art and OCAF, MFA: The Next Generation will feature artwork of second year Master of Fine Art candidates from the University of Georgia. The show is curated in part by second year Master of Arts candidates in the Art History Department at UGA. Happy New Year! I’m very excited to have started the new year and new semester by curating and installing Fade Like a Sigh, an exhibition of collaborative photographic work by two of my favorite artists, Zora J Murff and Rana Young. I love this work. Please stop by to see the show if you can! Fade Like a Sigh is on view in Glass Gallery at the Lamar Dodd School of Art now, through January 18th. Happy Halloween! Many thanks to Jon Feinstein of Humble Arts Foundation for including my diptych Why, Bless Your Heart and Soul, Honey! 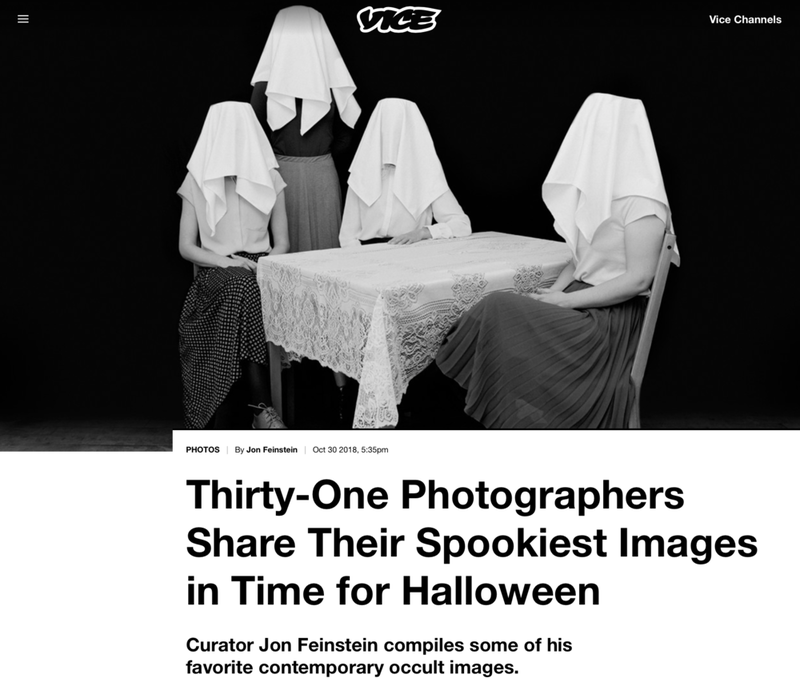 in a celebration of Halloween and photography on VICE. I’m thrilled to announce my first ever solo show, Haunts and Related Incidents, opens in Suite Gallery at the Lamar Dodd School of Art this Saturday, October 13! The show will be on display until Friday, November 9, with a closing reception on November 1, and a lunchtime gallery talk with the curator and myself at noon on October 22. Please let me know if you’re able to attend any of the events. More information on the show can be found on the Dodd Galleries website. 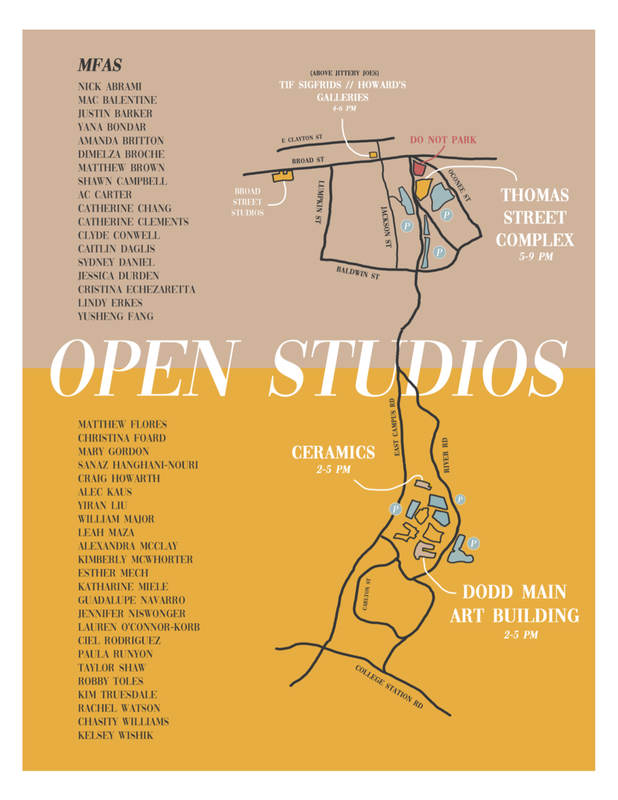 If you’re in the area, I hope you’ll visit the art school at UGA this Saturday for our annual Open Studios event! Festivities will kick off at the Main Art Building and Ceramics from 2-5, then we’ll migrate to the Thomas Street Art Complex from 5-9 where there will be food, drinks, and live music. I'm thrilled to have a photograph included in From Here On Out, curated by June T Sanders and Julie Gautier-Downes, on view at Object Space Gallery in Spokane, Washington through the month of September. You can experience the digital exhibition here. There will be an opening reception on Friday, September 7th from 5-8pm. I wish I could attend. Please plan to stop by if you're in the area! My fellow UGA photo grads and I are hosting a pop-up show, Head, Shoulders, Knees and Toes, in our studio-space-turned-gallery, aptly named Five Bananas, at the Dodd (room S290) tonight in Athens. One night only. Come if you can! Five Bananas Gallery is proud to present its inaugural exhibition: "Head, Shoulders, Knees, and Toes" located in Room S290 at the Lamar Dodd School of Art. Artists include Shawn Campbell, Matthew Flores, Alec Kaus, William Major, and Robert Toles. Indie Grits Labs is pleased to announce the opening of The Southern Disposition, an exhibition of photographs from a diverse group of Southern artists. Having sought work that “addresses and challenges the social, cultural, and physical landscapes of the South,” we are excited to showcase submissions from over 30 photographers, stationed throughout the Southeast and beyond. Exploring their work, viewers will see common responses emerge: feelings of emotional, physical, and cultural dislocation. There are familiar moments of melancholy and nostalgia, countered with bold expressions of the marginalized experience within the Southern context. Alongside this, there is a sense of something shifting, signs of an uneasy transition. In a place typically inhospitable to minority voices, the power of the traditional majority is called into question with images of its underlying fragility; and within the expressions of displacement, even within the very act of creating these images, there is a suggestion of defiance – hope for a new generation, struggling to claim its place. This is the Southern Disposition. I'm excited to have my series Lost in Transition featured on Aint-Bad today. Check it out! One of my images has been included in the 2018 Midwest Center for Photography Juried Exhibition. The show will be on display at the Center from January 26 - February 9 in Wichita, Kansas. You can see all the work and learn more about the show here. I'm excited to share that I've recently been awarded the 2018 Society for Photographic Education Student Award for Innovations in Imaging. Let's connect if you're planning to attend the upcoming national conference in Philadelphia this March. I'll have a table at the curator portfolio walkthrough on Thursday night, stop by to see what I've been up to the past few months. Additionally, two of my above photographs (Red and 3am) have been selected by juror Anthony Goicolea for inclusion in the 2018 SPE Combined International Caucus Exhibition. The show will only be on display for the duration of the conference (March 1-4) at the UArts Hamilton & Arronson Galleries at the University of the Arts in Philadelphia, with a reception from 6:30-8:30pm on Friday, March 2. I hope you'll join us! 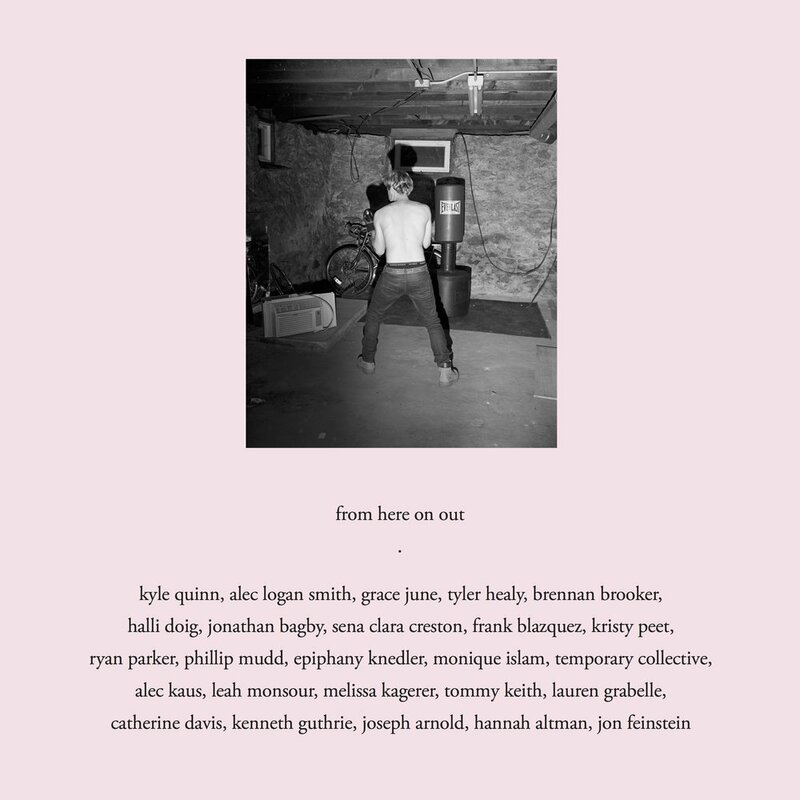 My photograph Wake (Heartland Inn) was recently included in Issue 2, the latest from Bedspread Zine. You can pick up your own copy here! Featuring guest artist Maia Boakye. Also featuring Alec Kaus, Alex Wigington, Ali Kate Cherkis, Anelise De Carli, Anita Gonçalvez, Annika Weertz, Can Geylan, Chloe Greeves, Claudia Burlotti, Daniele Queiroz, Elena Gimeno Dones, Esben Bøg-Jensen, Eva Abeling, Hannah Modigh, Hugo Renoux, James Meredew, Jameson Kergozou, Jill Blackmore Evans, Joseph Fox, Kai Roper, Kate Riep, Laurie Cornwell, Lennart Norman, Linda Moses, Marcel Maffei, Mariana Procha, Maya Kapouski, Quentin Pinczon, Shaun Kelly, Sophie Greenidge, Stephanie Third, Stijn Hoebeke & Sven Van Driessche. Curious about the MFA program at the Lamar Dodd School of Art? Open Studio Night is the perfect time to see our facilities and meet our faculty and grads. Held every year in the fall, Open Studio Night has faculty and students in their studios with their work, happy to answer questions about their practice and life at the Dodd. Join us at the School of Art Building for art and snacks, and we’ll guide you to the Thomas Street Art Complex for music and BBQ! I'm thrilled to announce that last week, Rana Young and I launched PHOTO-EMPHASIS. You can keep up with us at www.PHOTO-EMPHASIS.com, as well as on Instagram, @photo.emphasis. My photograph Eye, an outtake from the series Lost in Transition, is included in Mystify the Senses, the 2017 annual fundraising event for Maine Media Workshops + College. You can learn more about this year's event on Maine Media's website, and purchase tickets for the event here. Three of my photographs are included in the May issue of Light Leaked, Constructing Narrative, juried by Dana Stirling and Yoav Friedlander. Sit back and spend some time with the exhibition here. 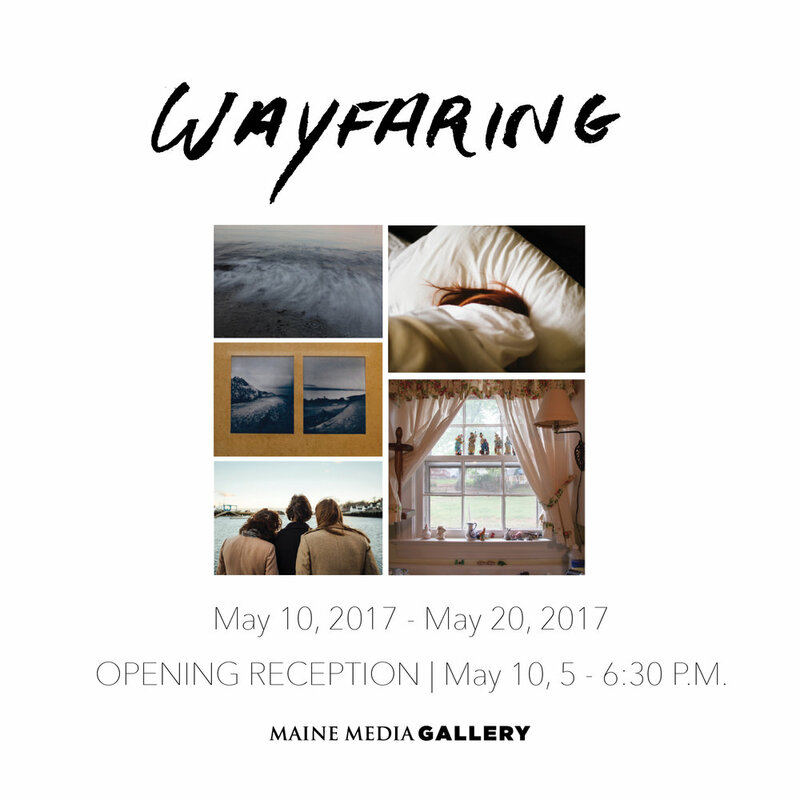 Eight of my photographs are included in Wayfaring, on display at the Maine Media Gallery in Rockport, Maine from May 10-20. I can't make it to the opening reception, but let me know if you do! You can find out more information about the gallery here. My photo Wake (Heartland Inn) was included in Float Photo Magazine's recent online exhibition, Home. See it yourself here! Some photos from my series b l i s s are featured in the Winter 2017 exhibition over on Streit House Space. Check it out here!